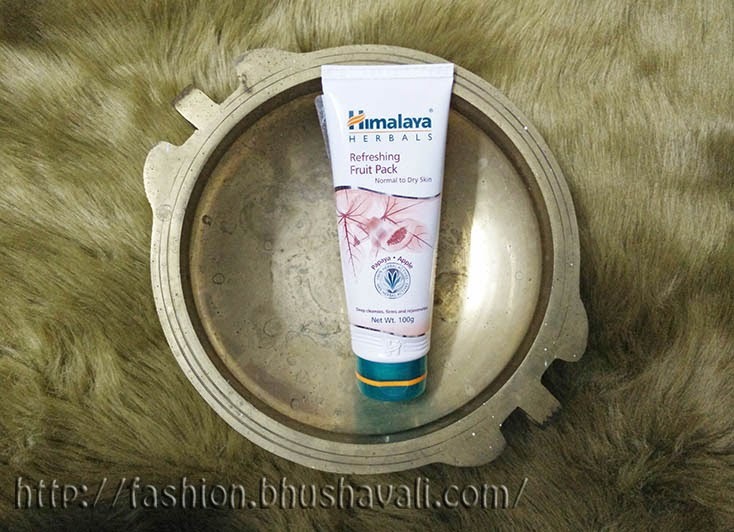 That's a fruit pack by Himalaya Herbals containing Apple & Papaya. Dunno about apple, but Papaya which gets too ripe to eat, were always used as face packs by my mom!!! When I saw this, I did get reminded of that!! This too is meant for normal to dry skin and not sensitive or combination, but I think my skin likes this too. It comes in a white tube with flip cap. The color is beautiful, probably what you'll get if your blend papaya & apple, a dull yellow!!! A nice creamy texture. It has apple, fig, cucumber, papaya, and mineral clay. 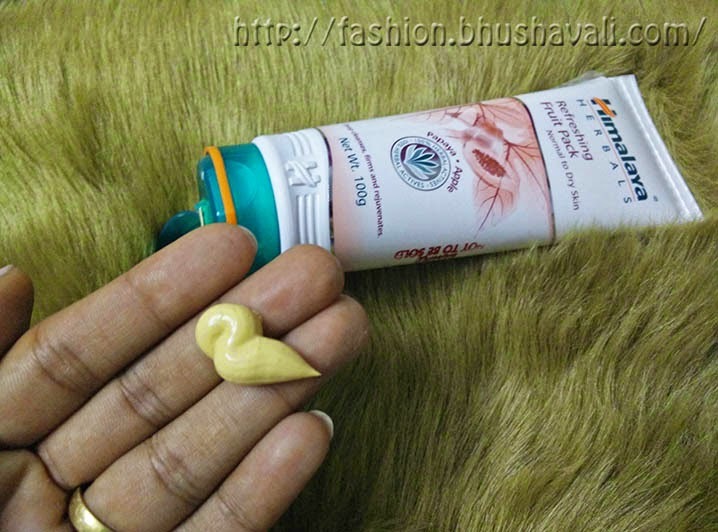 Though it has mineral clay, it doesn't really feel like it pulls out oil, like Multani Mitti, so if you're skin is really oily, this is of no use. But if you're on border, you might use. On my skin, it did give a tingly sensation. But I liked the feel it gave finally. The aroma is a fruity one as well. Compared to Neem facepack of Himalayas, I'd rather choose this, coz this doesn't make the skin feel stretchy, which the Neem pack did.